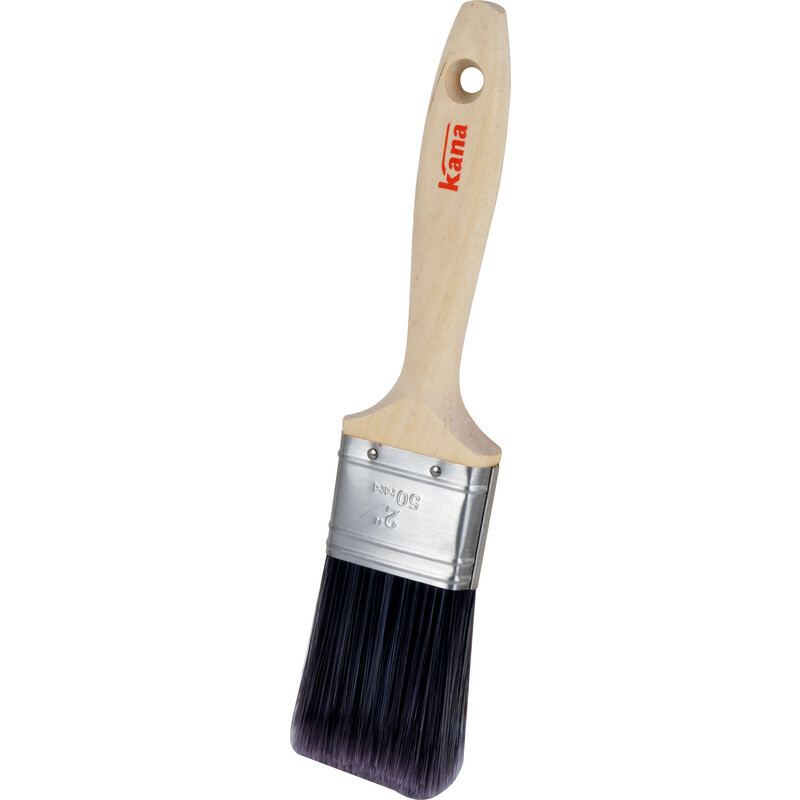 Kana Professional Synthetic Paintbrush 2"
100% synthetic bristle for long life and no bristle loss. High paint loading for outstanding coverage. Flagged bristles for smooth paint release and fine finish. Kana Professional Synthetic Paintbrush 2" is rated 4.2 out of 5 by 13. Rated 5 out of 5 by Sproutsdad from Superb brush I have always been a roller painter believing that a brush leaves marks. But with quality trade paint this great value brush is as good as a Purdy at 1/3 of the price, easier and better than the roller in difficult areas. If you are unsure of the underlying wall surface and there is a risk of the roller pulling it off then this brush is the answer - fantastic and no bristle loss. Rated 5 out of 5 by Deerhugger from A long lasting brush no bristle loss Came across Kana brushes about three years ago and have never had a problem with them. Never had bristle loss, easy in the hand and if looked after the bristles stay as soft and flexible as when first used. Wish I had discovered them before. Rated 5 out of 5 by Bugsie from Paint yhe town Great brushes just the job. Rated 5 out of 5 by arrrf from Nice brush I wanted a replacement for nice finishing, and have often found that the synthetic brushes are either too coarse or “flick” the end of the strokes. These kana brushes seem excellent and cleaned up nicely. Lost one ‘bristle’, so very happy. Rated 1 out of 5 by Ingol from Rubbish Doesn't just drop the odd bristle at the beginning of a job. It continues for hours, forever picking them out of the paint.